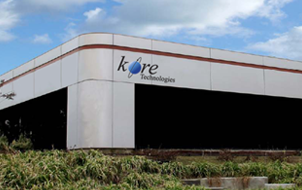 Kore Technologies was founded in 1999 by Mark Dobransky and Ken Dickinson. We specialize in helping companies extend their enterprise through integrated best-in-class solutions. Our enterprise integration, business intelligence and eCommerce solutions complement and extend the functionality of enterprise applications, thereby increasing the usefulness and lifespan of existing products--for a fraction of the cost to develop or purchase new software. Kore develops and supports two primary product suites: Kourier Integrator, an enterprise data management suite that provides both Enterprise Application Integration (EAI) and Extract, Transfer and Load (ETL) capabilities; and KommerceServer, an advanced B2B/B2C eCommerce suite that includes a powerful storefront and customer portal plus a framework for building robust Microsoft .NET Web solutions. As a technology partner of both Rocket Software and Microsoft, we are in the unique position of having the knowledge and ability to develop and support applications designed for both the UniData/UniVerse (U2) and Microsoft environment--plus we have the tools and experience to integrate these disparate systems. We leverage our technical expertise to build solutions using the latest industry-standard technologies such as: Microsoft .NET, Microsoft SQL Server, SSIS, C#, Java, J2EE, XML, JSON, and RESTful Web Services. Many of us at Kore were formerly employees of Epicor Software Corporation (previously DataWorks Corporation). Together the Kore team has over 200 years of experience with the DataFlo application and Preview 4GL. In fact, we were instrumental in the design and development of this software as well as the standards and procedures still used by Epicor today. Kore continues to be a leading provider of software, services, and solutions that compliment and add new functionality to Epicor's products. However, our technical expertise and product suite expands well beyond this environment to include Web Development, SQL Server applications, and many other applications that use the UniData/UniVerse databases. Our two main product lines KommerceServer and Kourier, are independent of the enterprise system you may be using. If we cannot help your company, we have a network of strategic partners who can. Enterprise integration products that extend the functionality of your enterprise applications. eCommerce Web solutions that expand your market reach. Contact Kore Technologies today and let us know how we can serve you.